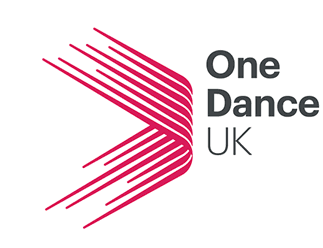 OneDanceUK supports the practice and appreciation of Dance of the African Diaspora (DAD), with the aim to make the form visible and valued as part of the British cultural experience. We have a unique role, working on behalf of talented individuals working with forms rooted in the African Diaspora, to support their development and raise the profile of their work. Our aim is to support these individuals to realise and sustain their creative vision by ensuring they have access to as many resources as possible; creating an environment for successful creative enterprise. We encourage DAD dance practitioners and enthusiasts to develop and invest in their own unique approach to the dance form and to be committed to excellence and professionalism. We value healthy debate – acknowledging that the historical, political and cultural context in which dance practices from Africa and its Diaspora exist are complex and at times, challenging. Therefore, we actively encourage debates over definition, labels and aesthetics within the evolving sector that addresses the creativity and convictions of dance artists, in all forms of expression. The primary focus of our events and festivals underpins our support of DAD artists, practitioners, scholars and enthusiasts by addressing gaps in dance provision across the UK, where dance from the African Diaspora is under-represented. Our programming provides opportunities to develop a regional and national community of practice, which supports artists by building global networks, providing professional development and touring opportunities, and by continuously celebrating and preserving DAD’s heritage and legacy.